Even some seventeen years after his sudden and tragic death, Barış Manço is still remembered as one of the pioneers of modern Turkish music. His career began in 1958, and continued right up until his death in 1999. During his career, Barış Manço was one of the founding fathers of Anatolian rock. He helped popularise this hybrid of Turkish folk and rock. Soon, other artists were following in the footsteps of Barış Manço, and Anatolian rock’s popularity was growing. It helped that at the vanguard of this new musical movement was a musician that was a pioneer and was capable of creating ambitious and innovative music. That was the case throughout Barış Manço’s thirty-seven year recording career. Throughout his career, Barış Manço was a truly prolific artist. That was the case since the early days, when he recorded and collaborated with wide variety of groups and artists. Barış Manço recorded with Harmoniler, Jacques Denjean Orchestra, Les Mistigris, Kaygısızlar, Barış Manço Ve, Moğollar and Kurtalan Ekspres, who he first collaborated with in 1972. Eleven years later, and Barış Manço and Kurtalan Ekspres recorded the album Estağfurullah…Ne Haddimize!, which will be released by Pharaway Sounds on 25th November 2016. When Estağfurullah…Ne Haddimize! was released later in 1983, Barış Manço was one of most successful Turkish musicians. This rise to the top had taken quarter of a century. It was changed days from the early days of Barış Manço’s career. Barış Manço was born in Üsküdar, Istanbul, Turkey on the 2nd of January 1943. Music was in Barış Manço’s family. His mother Rikkat Uyanık has been a successful singer. Little did she realise that her son would later, follow in her footsteps. By the time Barış Manço was a pupil at Galatasaray High School, he founded his first band, Kafadarlar. They mainly played to the students at nearby schools. This was enough to give Barış Manço a taste of life as a professional music. When Barış Manço was nineteen, he formed a new band Harmoniler. They accompanied Barış Manço when he recorded his debut single, Twistin USA. It was released in 1962, with Do The Twist following later that year. The third and final single Barış Manço released with Harmoniler was Cit Cit Twist in 1963. These three singles were among the first Anatolian rock releases. Barış Manço was part of a new musical movement. Despite this, Barış Manço having graduated from high school, decided to spend some time travelling across Europe. Initially, Barış Manço headed to France, and spent some time in Paris. This was where Barış Manço recorded a single with the Jacques Denjean Orchestra, Baby Sitter. It was released in 1964, but soon, Barış Manço was on the move again. He then moved to Liege in Belgium, where he enrolled, and studied, at the Royal Academy of Fine Arts in Liège, Belgium. This was where Barış Manço encountered the other members of Les Mistigris. Before long, Barış Manço joined the band. They released three singles while Barış Manço was a member. The first was Il Arrivera in 1966. Later Bien Fait Pour Toi followed later that year. A third single Bizim Gibi was released in 1967. By then, Les Mistigris’ popularity was spreading, and the band were playing much further afield. Les Mistigris were playing not just in Belgium, but France, Germany and Turkey. However, Barış Manço time with Les Mistigris came to an end in 1967. Later in 1967, Barış Manço was badly hurt in a car crash. It was then that he decided to grow a moustache to hide a scar. This would eventually become one of Barış Manço’s trademark’s, a familiar sight to music fans when commercial success and critical acclaim came his way. Before that, Barış Manço would form a new a new band, Kaygısızlar later in 1967. Unlike the last couple of bands Barış Manço had been a member of Kaygısızlar featured just Turkish musicians. During his travels, Barış Manço had worked with musicians from different countries. This hadn’t been easy, given the language barrier. This time, Barış Manço was joined in Kaygısızlar by Mazhar Alanson and Fuat Güner. They would spend the next two years together. Kaygısızlar’s debut single Kol Düğmeleri was released in later 1967. It was followed in 1968 by Kızılcıklar, Bebek, Karanlıklar İçinde and Bogaziçi. By the end of the 1968, Kaygısızlar’s popularity had grown. They had graduated from playing in venues in Turkey to touring internationally. Barış Manço’s new band had come a long way in a short space of time. As 1969 danwed, Kaygısızlar released Runaway. They followed this with Aglama Değmez Hayat and Kağızma. This proved to be Kaygısızlar’s swan-song. The story came to an end later in 1969 when Mazhar Alanson and Fuat Güner told Barış Manço that they didn’t want to move, and live abroad. After eight singles, Kaygısızlar were no more. 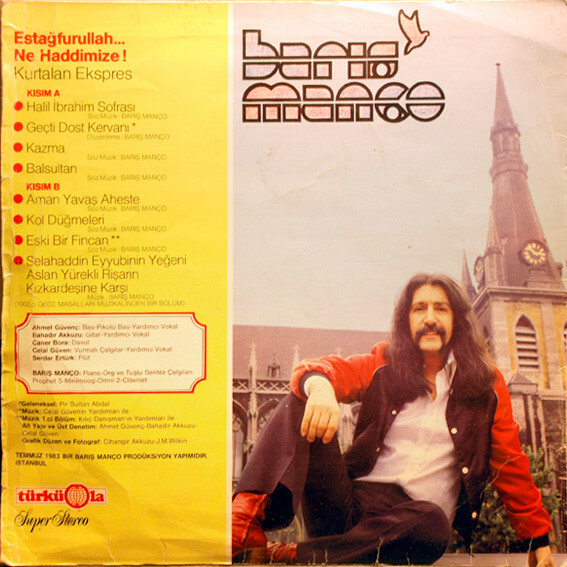 However, as the sixties gave way to the seventies, Barış Manço founded a new band, Barış Manço Ve. The newly founded Barış Manço Ve headed into the studio to record their debut single during early 1970. This multinational group’s debut single was Dağlar Dağlar (Mountains, Mountains! ), When it was released later in 1970, the single sold in excess of 700,000 copies. 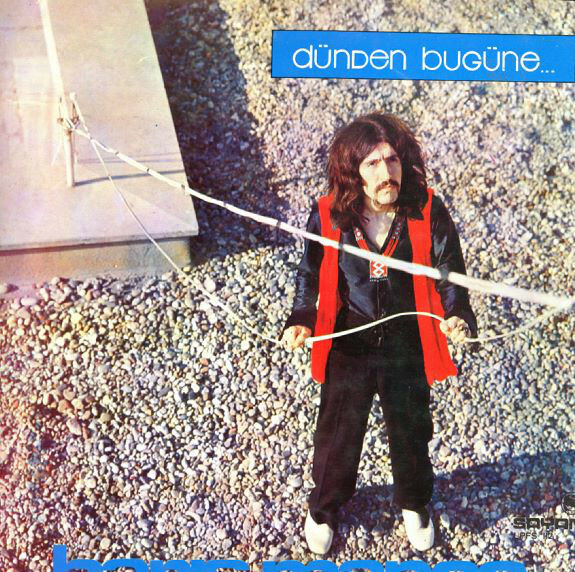 Buoyed by the success of their debut single, Barış Manço Ve released their debut album Dünden Bugüne…in 1971. 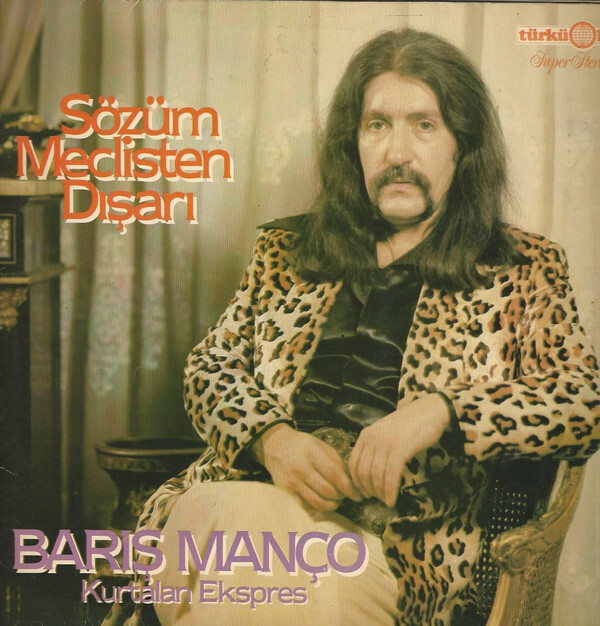 Alas, it was the only album Barış Manço Ve would release. Despite the success of Barış Manço Ve, its founder was ready to move on. Next stop for Barış Manço was Moğollar, who were one of the pioneers of Anatolian rock. They had been formed in 1967, were still growing strong when Barış Manço joined in 1971. He features on their 1971 single İşte Hendek İşte Deve. After this, Barış Manço decided to rejoin Kaygısızlar. After reforming, Kaygısızlar only released one more single, Fil ile Kurbağa. It was released in 1972. However, after this, the members of Kaygısızlar moved on to new projects. Mazhar Alanson and Fuat Güner went on to form MFÖ. Meanwhile, Barış Manço formed another new band, Barış Manço and Kurtalan Ekspres. Barış Manço and Kurtalan Ekspres-The Seventies. Barış Manço’s latest band wasted no time beginning work on their debut single. Ölüm Allah’ın Emri was released in 1972. Little did anyone know that this fusion of Anatolian rock and psychedelia marked the debut single by one of the most innovative and influential Turkish bands of the seventies. They pioneered Anatolian rock, and took the genre in new directions. Initially, Barış Manço and Kurtalan Ekspres combined Anatolian rock and psychedelia. By 1973, Anatolian rock was evolving as Barış Manço and Kurtalan Ekspres moved the genre towards progressive rock. This became apparent when they released their first single of 1973, Lambaya Püf De. It was followed by Gönül Dağı later that year. Sadly, Barış Manço and Kurtalan Ekspres’ singles failed to find the audience they deserved. Despite this, their music continued to be innovative and influence other bands. As a new year dawned, Barış Manço turned forty-two in 1975. He was hoping commercial success was just around the corner. 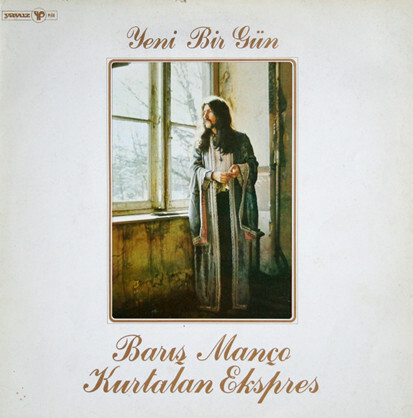 Alas, when Barış Manço and Kurtalan Ekspres released Ben Bilirim as a single in 1975, the single failed to find an audience. Barış Manço however, had a plan and was ready for one last throw of the dice. Later in 1975,Barış Manço and Kurtalan Ekspres were about to release their debut album, 2023. It was a genre-melting concept album where songs rubbed shoulders with instrumentals. 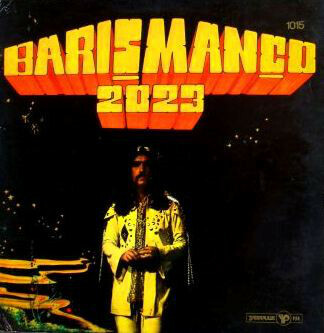 2023 was an album of groundbreaking music, that when it was released in 1975 was meant to transform the fortunes of Barış Manço and Kurtalan Ekspres. Alas, the only countries where 2023 sold well, were Romania and Morocco. The album topped the charts in both countries. Elsewhere, 2023 failed to find the audience it so richly deserved. For everyone involved it was a frustrating time. Things didn’t get any better for Barış Manço and Kurtalan Ekspres. When Kurtalan Ekspres’ released Çay Elinden Öteye Rezil Dede as a single in 1976, it too failed commercially. Barış Manço and Kurtalan Ekspres’ career was at a crossroads. As a result, Barış Manço took stock of his and Kurtalan Ekspres’ career during 1977. The band had been together for nearly five years, but still hadn’t made a breakthrough. To buy themselves time, Barış Manço and Kurtalan Ekspres released a career retrospective Sakla Samanı Gelir Zamanı in 1977. Maybe it would act as introduction to Barış Manço and Kurtalan Ekspres, until they completed their next album? Two years later, and Barış Manço and Kurtalan Ekspres returned with Yeni Bir Gün. It was released in 1979, and sonically and stylistically, followed in the footsteps of 2023. Sadly, it was an all too familiar story. Despite featuring ambitious and innovative music, Yeni Bir Günpassed record buyers by. It was a similar story when Barış Manço and Kurtalan Ekspres released their first album of the eighties. As the new decade dawned, Kurtalan Ekspres’ thoughts turned to their first album of the eighties. This was 20, another album that followed sonically and stylistically in the footsteps of 2023. The music was ambitious, crossing and combining disparate musical genres and influences. However, just like 2023 Yeni Bir Gün it failed commercially. However, commercial success was just around the corner for Kurtalan Ekspres. After the disappointment of 20, Barış Manço and Kurtalan Ekspres began work on their second album of the eighties, Sözüm Meclisten Dışarı. After it was written and recorded, it was apparent that Sözüm Meclisten Dışarı featured some of the best music of Barış Manço and Kurtalan Ekspres’ nine year career. This proved to be the case. When Sözüm Meclisten Dışarı was released in 1981, it was the album that transformed Barış Manço and Kurtalan Ekspres’ fortunes. Sözüm Meclisten Dışarı became Barış Manço and Kurtalan Ekspres’ most successful album. That was no surprise, as it featured five hit singles, Alla Beni Pulla Beni, Arkadaşım Eşek, Gülpembe, Halhal and Dönence. After nine long years, Barış Manço and Kurtalan Ekspres’ were belatedly enjoying the commercial success that their music deserved. The success of Sözüm Meclisten Dışarı and its singles resulted in music fans reevaluating Barış Manço and Kurtalan Ekspres’ earlier music. Before long, their popularity was soaring, and Barış Manço and Kurtalan Ekspres’ were one of the biggest names in Turkish music. Soon, though, Barış Manço and Kurtalan Ekspres’ had to start thinking of their next album. This would become Estağfurullah…Ne Haddimize!. For the followup to Sözüm Meclisten Dışarı, Barış Manço began writing what eventually became Estağfurullah…Ne Haddimize! He wrote seven of the album’s eight tracks, including Halil İbrahim Sofrası, Geçti Dost Kervanı Kazma, Balsultan, Aman Yavaş Aheste, Kol Düğmeleri and Eski Bir Fincan. Barış Manço also wrote the music to Selahaddin Eyyübinin Yeğeni Aslan Yürekli Rişarın Kızkardeşine Karşı. These songs were recorded in Istanbul during the summer of 1983. Recording of Estağfurullah…Ne Haddimize! took place during July 1983. Barış Manço took charge of production, and played piano, organ, clarinet and synths. Among his array of synths, were an Omni 2, Minimoog and Prophet 5. Meanwhile, the members of Kurtalan Ekspres played a mixture of traditional and modern instruments. This included flautist Serdar Ertürk, and Caner Bora who played the davul, a type of bass drum. Bassist Ahmet Güvenç also played piccolo and added backing vocals. So did guitarist Bahadır Akkuzu and percussionist Celal Güven. Together, they recorded the eight songs during July 1983 that would become Estağfurullah…Ne Haddimize!. Later in 1983, Estağfurullah…Ne Haddimize! was released. Just like Barış Manço and Kurtalan Ekspres’ previous album, Sözüm Meclisten Dışarı, Estağfurullah…Ne Haddimize! sold well enough to reach the upper reaches of the charts. Estağfurullah…Ne Haddimize! also featured two hit singles, Halil İbrahim Sofrası and Kol Düğmeleri. The latter was a new version of Barış Manço’s first single Halil İbrahim Sofrası. It was another song with an important moral message. This was a feature of many of Barış Manço’s songs by 1983, which had been another good year for Barış Manço. 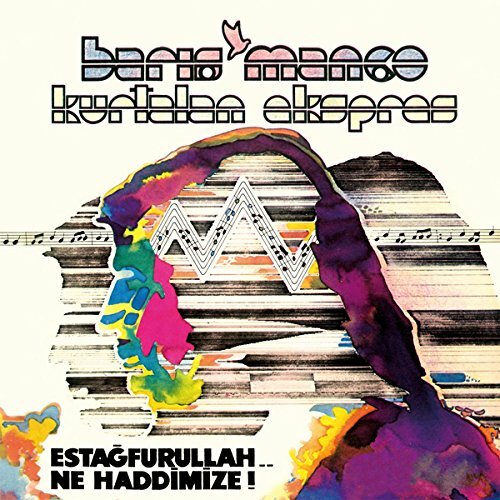 Barış Manço had written another successful album Estağfurullah…Ne Haddimize!. Commercially and stylistically, it picked up where Sözüm Meclisten Dışarı left off, and ensured that Barış Manço and Kurtalan Ekspres’ success continued. Given the quality of music on Estağfurullah…Ne Haddimize! that was no surprise. Halil İbrahim Sofrası opens Estağfurullah…Ne Haddimize!, and bursts into life. Guitars join the rhythm section as the arrangement flows smoothly and almost joyously along. Already it’s hard to resist the song’s charms. All of sudden it’s all change, as an element of drama is injected when the organ and vocal enters. Soon, Barış’ impassioned vocal delivers his moral message, and harmonies accompany him They prove the perfect foil, and add to the drama. As they drop out, still the arrangement flows and glides along. Synth strings sweep and join with washes of Hammond organ, as the piano plays and the rhythm section provide the heartbeat. Together, they create music with a moral message where beauty and drama, are omnipresent, as folk and progressive pop are combined seamlessly. The tempo drops on Geçti Dost Kervanı, drums are joined by a flute and soon, keyboards and percussion. They create the backdrop for Barış’ heartfelt, emotive vocal. Meanwhile, the rhythm section play slowly and deliberately while a melancholy flute drifts in and out. It helps frame the vocal which oozes emotion in what’s a beautiful song. Kazma is mixture of disparate and unlikely genres. Everything from traditional folk to funk and even a hint of disco are combined with rocky guitars. It’s a potent and heady brew from the opening bars. That’s when folk gives war to funk. Adding the funk are rhythm section and later, a clavinet. Meanwhilem synths strings sweep and provide part of the backdrop for a swaggering, powerful folk-inspired vocal. The next ingredient is a blistering rocky and later funky guitars. They enjoy their moment in the sun later, as this irresistible genre-melting song takes shape and makes perfect musical sense. Thirty-three years later, and it’s a truly timeless dance track. Balsultan finds the tempo dropping as a melancholy song begins to share its secrets. Keyboards and elegiac synths combines with the rhythm section and guitar. They play slowly as synths shimmer and glisten, as the bass and guitar resonate. Barış’ vocal is deliberate and has a tenderness. Even when the tempo increases as guitars, synths and the rhythm section combine. The arrangement briefly becomes funky before meandering along. From there, the arrangement ebbs and flows, continually captivating as it shows its different sides. Then at 4.50 the bass takes the track in the direction of funk. Synth strings sweep as the meandering arrangement becomes smooth and funky. Chic inspired chiming guitars open Aman Yavaş Aheste before the rhythm section increase the funk factor. Soon, they’re joined by backing vocalists and then synths. By then the rhythm section and guitars have locked into the tightest of grooves. Handclaps synth horns are added, and augment the backing vocals. Meanwhile, everything falls into the place on this glorious and irresistible fusion of boogie, disco and funk. For anyone interested in either genre, this makes Estağfurullah…Ne Haddimize! a must have album. Wistful flutes floats combine with keyboards and piano on Kol Düğmeleri. They’re joined by the rhythm section, as the arrangement slowly and deliberately meanders melodically along. Then when Barış’ vocal enters, it’s tender, heartfelt and full of emotion. Behind him, the tempo quickens and the drama builds, as Barış’ lays bare his soul on this beautiful ballad. From the opening bars of Eski Bir Fincan, it’s obvious something special is about to unfold. It does, another beautiful ballad. The rhythm section and scrabbled guitar combine create the heartbeat, while percussion, keyboards and synths prove a beautiful backdrop. Again, Barış delivers the lyrics with feeling. Then when his vocal drops out, an effects laden guitar takes centre-stage. When Barış’ returns, the arrangement flows, glides and glistens along, as elements of pop, funk and rock combine to create a beautiful, melodic and memorable ballad. As Selahaddin Eyyübinin Yeğeni Aslan Yürekli Rişarın Kızkardeşine Karşı closes Estağfurullah…Ne Haddimize! it’s a case of all change. Percussion is to the fore before a shimmering flute is panned. Soon, it’s joined by a Hammond organ, synths and the rhythm section join the fray. They become part of a meandering, mesmeric genre-melting groove. The ebbs and flows, as instruments appear, disappear and later reappear. So do elements of folk, funk, progressive pop and rock. Later, electronica combines with the sound of a traditional marching band. Contrasts abound in this multilayered musical potpourri, which results in a captivating Oriental groove-jam. What better way to showcase the considerable talents of Barış Manço and Kurtalan Ekspres? For anyone yet to discover the delights of Barış Manço and Kurtalan Ekspres, then Estağfurullah…Ne Haddimize! is the perfect starting place. It’s the perfect showcase for the combined and considerable talents of Barış Manço and Kurtalan Ekspres. They combine beautiful, heart-wrenching ballads with dance tracks. This includes the irresistible fusion of boogie, disco and funk that’s Aman Yavas! Aheste. Then there’s the album closer Selahaddin Eyyübi’nin, which is an Oriental groove-jam par excellence. Once it draws to a close, one can’t help but pressing play once again, and revelling in Estağfurullah…Ne Haddimize!’s delights all over again. No wonder. It’s without doubt, one of Barış Manço and Kurtalan Ekspres’ finest albums. It finds Barış Manço deploying his dazzling array of analog synths, which play an important part in the sound and success of Estağfurullah…Ne Haddimize! So does Kurtalan Ekspres’ mixture of traditional and modern instruments. They contribute to another groundbreaking album of genre-melting music. Barış Manço and Kurtalan Ekspres take as a starting point Anatolian rock, which is a hybrid of Turkish folk and rock. To this, they add elements of boogie, disco, electronica, folk, funk, Oriental and progressive pop. Then there’s a hint of jazz, progressive rock, psychedelia and rock. This musical poptpouri became Estağfurullah…Ne Haddimize!, which will be released by Pharaway Sounds on 25th November 2016. It’s a very welcome reissue, and hopefully, with introduce Estağfurullah…Ne Haddimize! and indeed Barış Manço and Kurtalan Ekspres to and even wider audience. Estağfurullah…Ne Haddimize! certainly found a wide audience in Turkey. The album ensured Barış Manço and Kurtalan Ekspres remained at the top of Turkish music. That was where he remained for the rest of his career, until his sudden and tragic death in 1999. Since then, Barış Manço’s music continued to influence and inspire a new generation of musicians. That’s no surprise. Especially given the quality of music on Estağfurullah…Ne Haddimize! Not once, do Barış Manço and Kurtalan Ekspres put a foot wrong musically, on what’s without doubt, one of their finest hours, Estağfurullah…Ne Haddimize! It’s a truly irresistible and heady musical brew, that features Barış Manço and Kurtalan Ekspres at their best, on what was their Magnus Opus, Estağfurullah…Ne Haddimize!